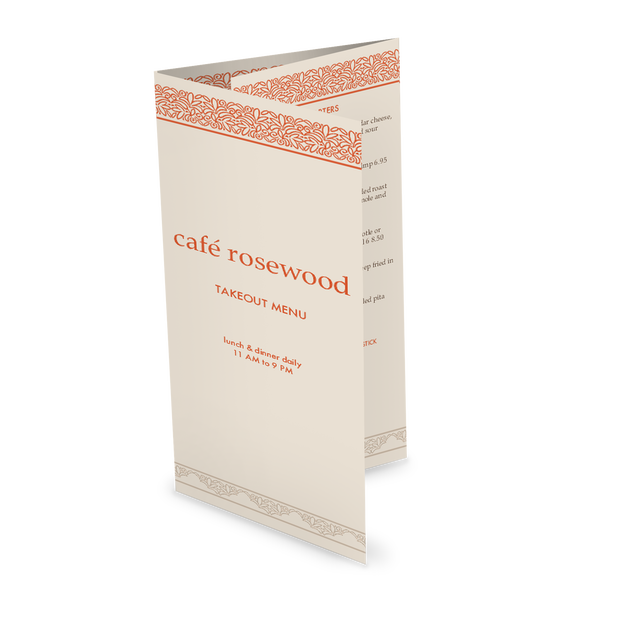 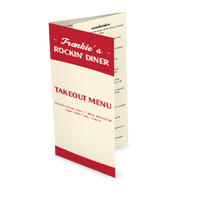 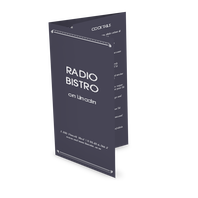 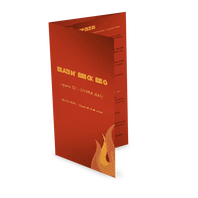 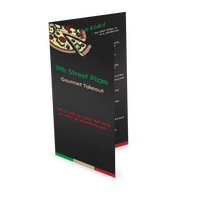 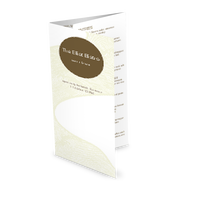 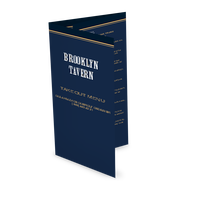 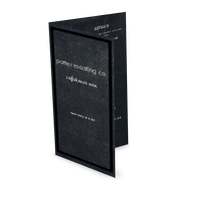 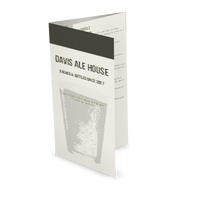 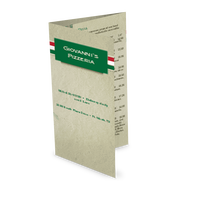 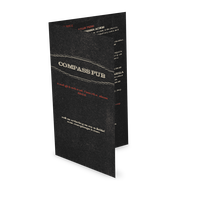 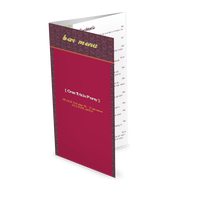 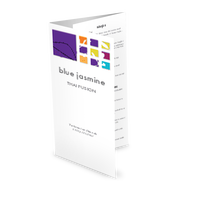 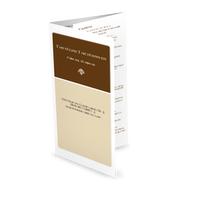 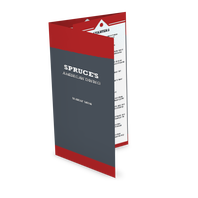 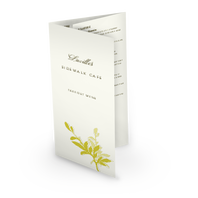 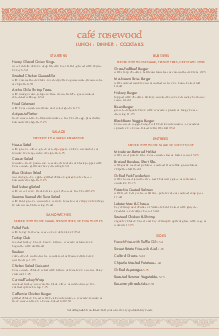 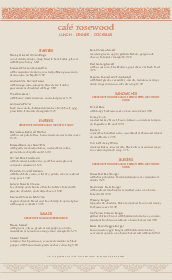 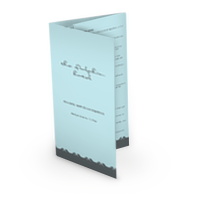 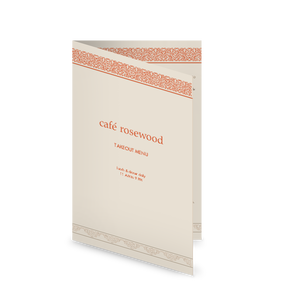 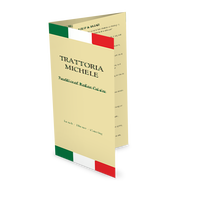 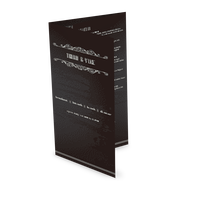 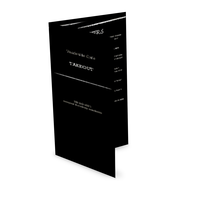 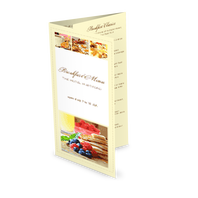 A trifold takeout menu for the Casual Restaurant menu collection. 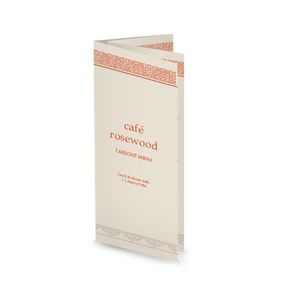 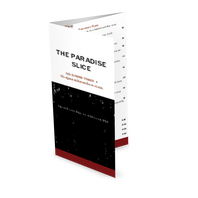 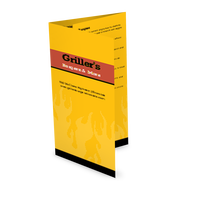 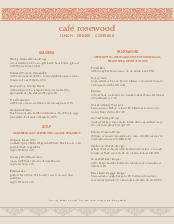 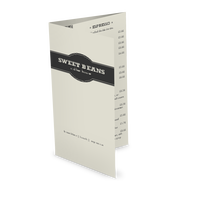 The carryout menu has a classic style for a cafe or bistro. The cool gray background is edged with a red floral border and scallop lace edge, accented with red headers.